The EnvisionTEC 3D Bioplotter is a revolutionary 3D printer. It has been utilized in over 150 research studies and continues to support medical 3D printing advancement around the world. Due to its unique ability to print with virtually any biomedical material, the possibilities of this printer are endless. 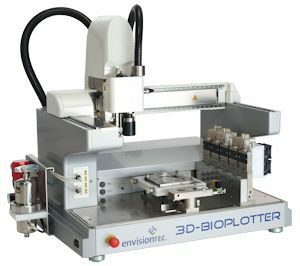 From printing custom scaffolds to functional organs, the EnvisionTEC 3D Bioplotter can be used in any specialty for a range of advanced medical treatments. The EnvisionTEC 3D Bioplotter has been used in over 150 research studies. Additive manufacturing, now more commonly known as 3D printing, was first developed in the mid-80s. It has since exploded into an extremely popular building method used in manufacturing, construction, medicine and more. Industry research reports that the 3D printing industry grew 35.4% in 2014 alone and the market is expected to continue growing and reach a value of $23 billion by 2022. The 3D printing market is expected to reach a value of $23 billion in the next 5 years. What makes 3D printing so ground-breaking, especially in medicine, is its cost effectiveness. 3D printing is now making innovative medical treatments affordable right away. Given the overall rising costs of healthcare, having access to these types of treatments at a reasonable price could be the difference between life and death for some individuals. Plus, medical 3D printing can be used to create customized devices… making previously impossible solutions possible. The Shah Lab at Northwestern University utilizes the EnvisionTEC 3D bioplotter in a variety of ways to continuously advance medical 3D printing technology and treatments. Their ultimate goal is to develop functional 3D products that are accessible to many people. The fundamental aspects of medical 3D printing make these versatile solutions available at a low cost despite their underlying complexity. 3D printing organs will not only solve the issue of depleted organ banks, it will remove some of the other risks associated with implantation like rejection and bio-incompatibility. Developing functional materials: The lab focuses on two types of materials for medical 3D printing: hydrogel systems and particle-based inks. Hydrogel assists in creating complex organ and tissues systems, while particle-based inks are used to print a variety of materials like metal, ceramics, and tissue. They can even print these different materials together in one print using multiple printer cartridges and use different grafting techniques to regenerate organs and muscle tissue. The ability to print organs will provide doctors with a cost effective solution to depleted organ banks and the complicated risks associated with implantation. Impacts of cancer treatments on fertility: The Shah Lab has applied their particle-based inks into 3D printed ovaries, a process called ovary bioprosthesis. 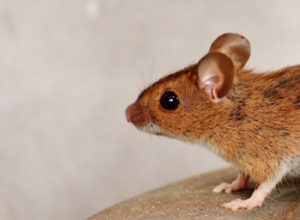 They have successfully implanted these printed ovaries in sterilized mice. This medical breakthrough could someday change the lives of thousands of women who have gone through cancer treatment and are unable to carry a child due to hormone inadequacy and infertility caused by cancer treatment. Liver regeneration breakthroughs: The Shah lab has also developed techniques for printing liver cells. Many people know that the liver is able to regenerate, but certain diseases can cause that naturally occurring process to stop. Factor in the lack of organ donors and this can be a life-threatening issue. By 3D printing cells, doctors can create an in vitro liver construct that can be implanted into a patient and regrow into a full-sized liver. The EnvisionTEC 3D bioplotter has also been used in medical 3D printing to create aortic leaflet heart valves. Doctors can not only scan patients to determine the heart valve issues, but they can then use the scan and 3D design software to modify the value and ensure that it is the perfect fit for the patient. By using 3D scanning and 3D printing, doctors can visually understand heart valve issues and print new ones in the correct size and shape. The 3D bioplotter can hold multiple cartridges and automatically switch between them as needed during the printing process. In this case, scaffold and support materials are used in conjunction to print the valve. Once printing is complete, the heart valve is placed in warm water where the supporting material dissolves and scientists are left with a valve that can be used for testing or implantation. This technological advancement allows individuals suffering from cardiac disease to live happier and more fulfilled lives. The EnvisionTEC 3D bioplotter has also been used to print custom hand prosthetic components. Using materials that have similar properties to real-life biological materials, prosthetics can be created that mimic human movements. 3D printing prosthetics allows individuals to receive fully customizable prosthetics at a reasonable price. In this case, polycaprolactone was selected to print the joint pieces of the prosthetic because of its similar properties to cartilage. Variation in printing techniques also helps further customize the prosthetic. Hollow components maximize flexibility while components with inner-structure patterns have more rigidity. Medical 3D printing prosthetics allow individuals to customize and create prosthetics that meet their unique needs….quickly and at a surprisingly reasonable price. Medical 3D printing has not only enabled radical new treatments; it has lowered the price of many conventional medical solutions. The possibilities of 3D printing organs will revolutionize medicine for years to come and allow individuals to live longer and healthier lives. The EnvisionTEC 3D bioplotter’s endless capabilities and material flexibility allow it to continuously be utilized in all types of medical development. Ready to revolutionize medical 3D printing in your organization with the EnvisionTEC bioplotter? Contact us and we would be happy to help you determine which printer is best for your needs.